Last weekend we showcased the game to some developers and players and some new bugs were found as expected. Some we already knew about and others were simply created when André was doing the combat demo scene we’ve shown. First thing Andre did in the beginning of the week was to fix these bugs and tweak the combat (feedback was very important). Seeing players playing and looking at what they do with the controller is very enlightening for improving small nuances in gameplay and making things more intuitive. This is a process that we intend to repeat in ever showcase we’ll do. Tomé worked on some props this week. One of them is a very important prop – it’s basically a resting spot where one of our mechanics takes place. When the player uses it in order to recover, an ambush can randomly occur during the night while sleeping. The various parts of this prop can be rotated or hidden to achieve different compositions and avoid repetition. 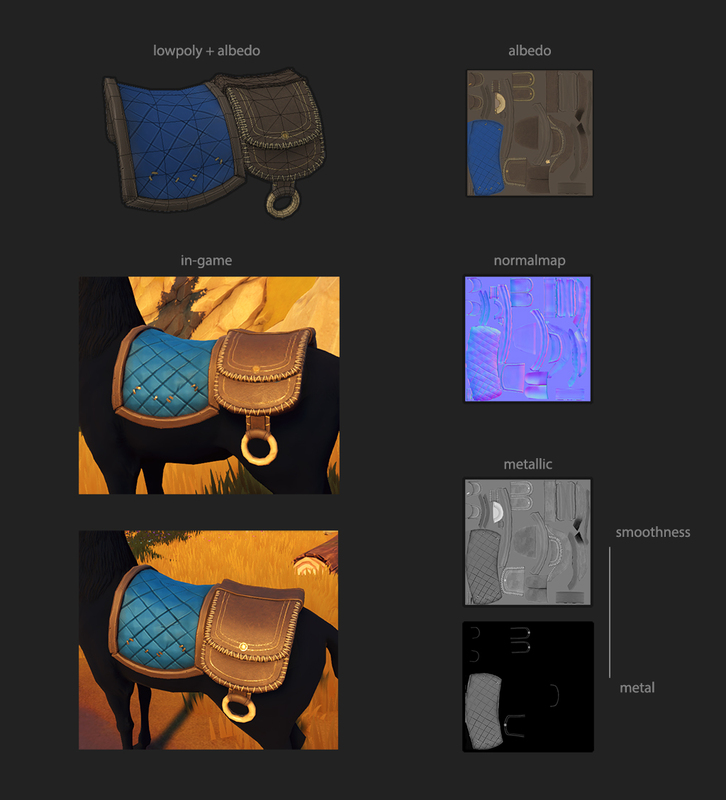 Meanwhile, Pichel is hard at work handcrafting the mystical Elk’s textures and experimenting with fur. 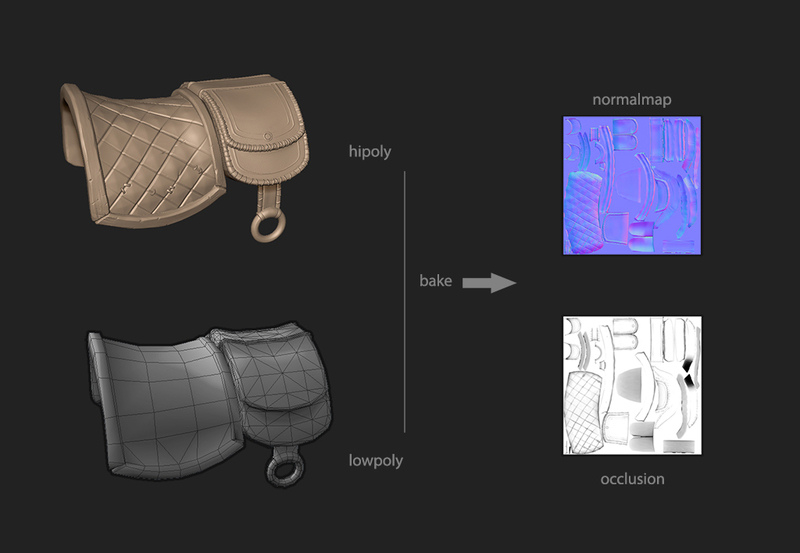 He already finished the maps for the saddle, as you can see in the image below. He also finished the High Poly of one of the NPCs that can be encountered in the beginning of the game. We will talk about him and the others NPC’s soon in a dedicated devblog. This entry was posted in Dev Blog, WIP and tagged 3D, Interactions, WIP on July 8, 2016 by Andre Constantino. O vosso jogo parece ser cada vez mais interessante. Muito trabalho, não? Parabéns. Têm muito talento. Muito trabalho, mas vale a pena.